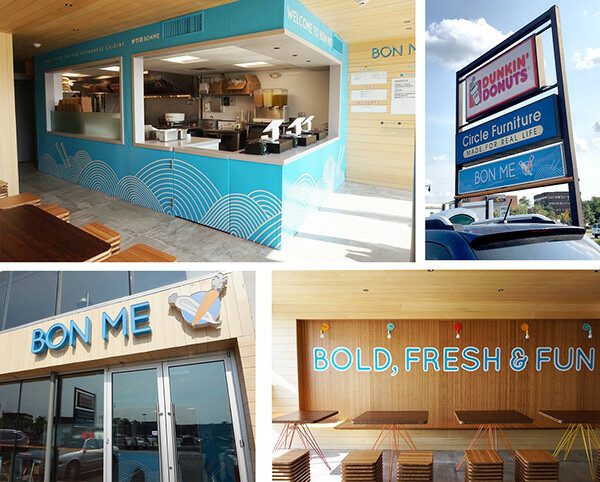 Expanded and enhanced the original brand of Bon Me food trucks, to a brand that encompasses the ever expanding portfolio of brick and mortars. 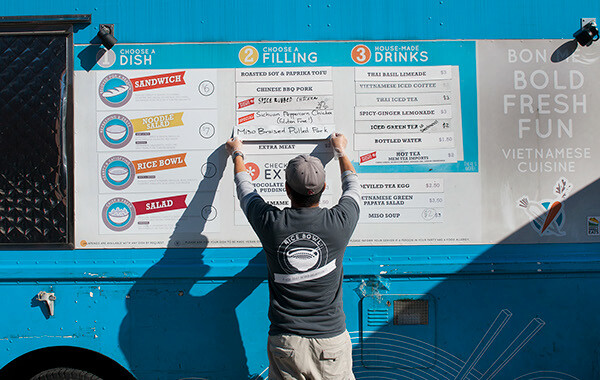 Lead on in-store design pieces, consulting with the architecture team on structural design, storefront signage, menu design for trucks and in-store, team apparel, promotional and event materials, and digital content and extensions. 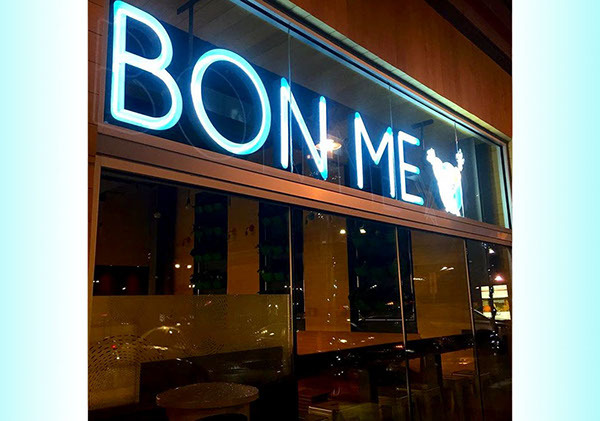 Bon Me's brick-and-mortor stores provided the opportunity to dial up the character of the brand. 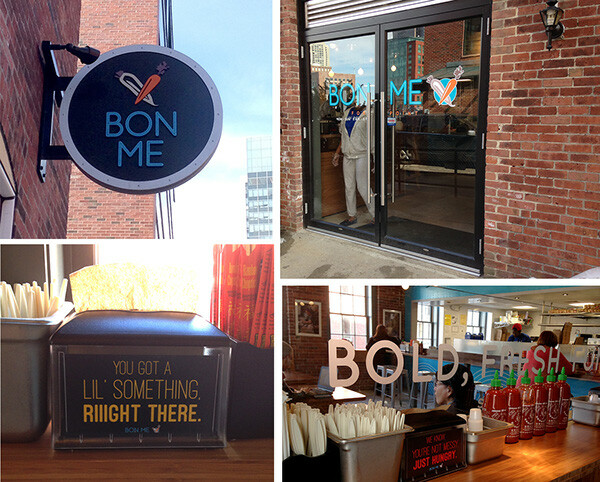 Bright, funny, and with its heart in Boston, the stores tells the story of Bon Me from food trucks to store. With a truck-like object at the heart of the store, customers order at the window just as they would on one of the much loved trucks. The interior brick design and wood resonates with the buildings and history that the trucks drive through. 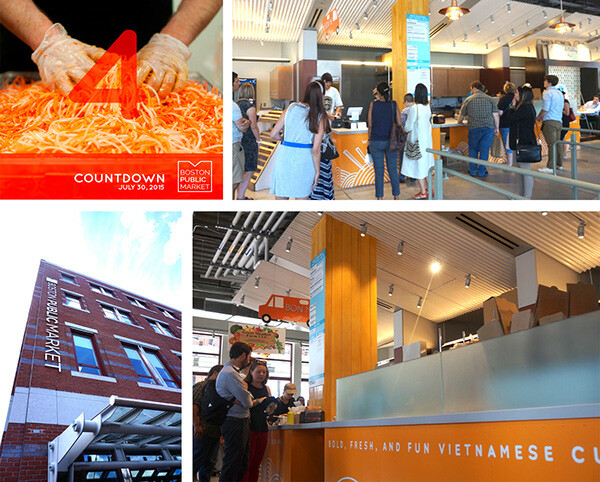 Work Included: Interior graphic elements, truck object, murals, signage, menu evolution, promotional materials for opening, social content driving to store and opening. Just Open! Photos still to come! I create the stand out truck wraps themselves, as well as the menus on each truck. With careful color and branding choices, these have become a staple in the traffic of Boston. 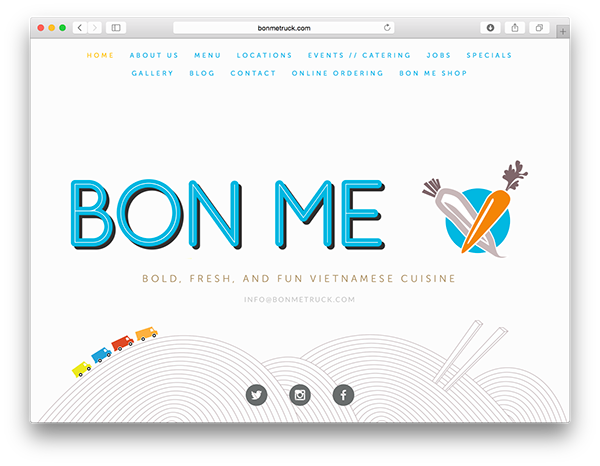 I help maintain and design the Bon Me website. The site was created in a format so that multiple users of varying web skills on the Bon Me team could update, edit, and add without the need of a designer or developer.